The pool with a view that never ends! Over the water hammocks at Latitudes, the first over the water bar. You can’t find better jerk chicken, fish, or pork! Local Whitehouse fishermen - you just can’t meet friendlier people! The Pelican Bar…Ask us how to get there! You can not find a more beautiful pool…or can you? 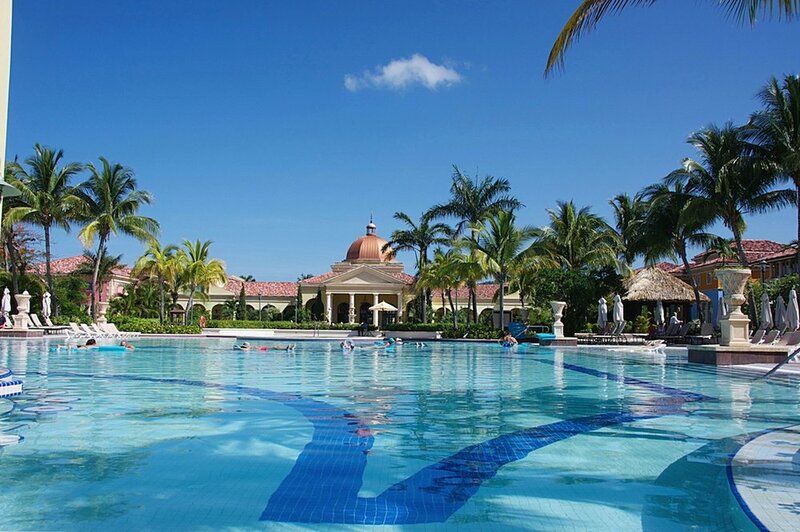 Sandals Whitehouse or Sandals South Coast are one and the same. Once known as Sandals Whitehouse on the south coast of Jamaica, it is now called Sandals South Coast in the town of Whitehouse. Sandals South Coast is a magnificent property lying along 2 miles of the Jamaican coastline just outside the laid-back village of Whitehouse. This is the Jamaica where local fishermen still set out to in search of the day’s catch. Just 75 minutes from the airport in Montego Bay, the resort with an elegant European flair sits on 50 of the 400-acres of an unspoiled nature preserve of South Beach. The lush gardens, fountains, and statues add the air of old world Jamaican charm to the sights and sounds of the Caribbean. Bliss. Unbelievably, all 372 rooms suites and in Sandals South Coast are oceanfront, offering each and every guest the ultimate Caribbean experience. And if that is not enough to wow the senses, it is also home to Latitudes, an over-the-water bar complete with hammocks strung over its outer edges. Should you be quietly floating in the surrounding sea, BarTenders with little floating vessels will float your drinks right out to you. 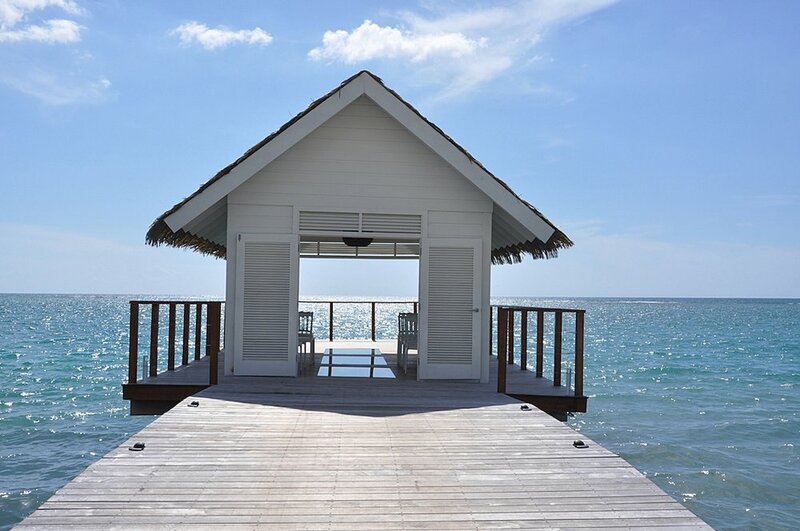 South Coast also has the increasingly desired Over-the-Water-Bungalows, complete with “sea-through” glass floors, outdoor shower, tranquility soaking tub with privacy curtains, over-the-water hammock, and suspended patio with swim platform. Destination Wedding and ReTie the Knot couples cannot believe the beauty of the Serenity Chapel. The boardwalk aisle out to the most beautiful little chapel with glass floors seem to be something right out of a fairy tale.